The bishops of Washington, D.C. and Arlington, Virginia have publicly confirmed that they will uphold the declaration of Archbishop Joseph Naumann of Kansas City that Governor Kathleen Sebelius should not present herself for communion should she be appointed Secretary of Health and Human Services and move to Washington, DC. In spite of a storm of national protest, University of Notre Dame President Fr. John Jenkins says he has no intention of rescinding his invitation to President Barack Obama to speak at this year’s commencement, claiming that the invitation is not an endorsement of the president’s anti-life positions. 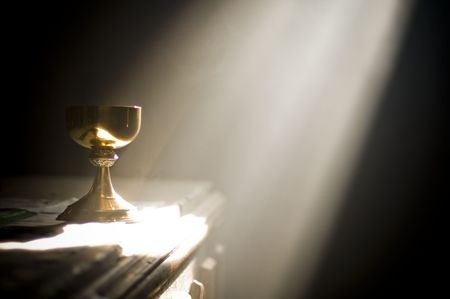 A nationwide petition campaign is underway that will ask U.S. Bishops to withhold communion from House Speaker Nancy Pelosi and other prominent Catholics in public office who persistently dissent from Church teaching on serious moral issues. The bishop of the Diocese of Scranton, Pennsylvania is threatening to close the diocesan cathedral during St. Patrick’s Day celebrations this year if elected officials who support abortion are featured at the events. A leading anti-Catholic organization, Americans United for the Separation of Church and State (AU), is threatening the U.S. Catholic Church with the loss of their tax-exempt status if they continue to warn their flocks against voting for pro-abortion politicians. Bishop Gerald Kicanas of Tucson, vice president of the U.S. Conference of Catholic Bishops told a reporter last week that U.S. bishops will discuss whether voting for pro-abortion legislation entails automatic excommunication at their November meeting.